Born in a musically endowed family of Kolkata, he was initiated into the art of playing Tabla at a very early age by his father, the legendary Late Pandit Biswanath Bose and his mother Late Vidushi Bharati Bose, a disciple of the great Ustad Dabir Khan. Later he came under the tutelage of the legend of the Benares School of Tabla, Pandit Kishan Maharaj. Pandit Bose's genius is his ability to evolve a distinctive style of his own without diluting the sanctity of tradition with which has been mesmerizing audiences all over the globe. His intricacies on the Bnayan (bass drum) have captured the hearts of both the young and veterans alike. 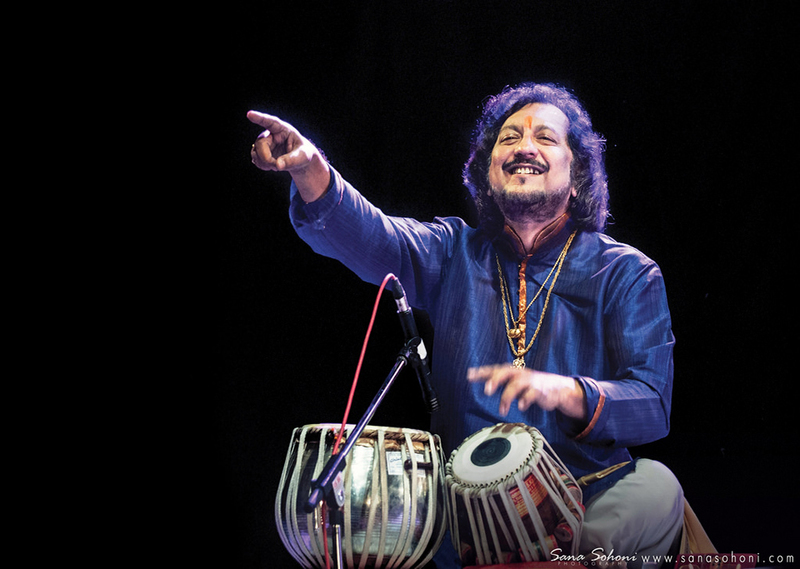 He is as much facile in accompaniment, be it vocal, instrumental or dance forms as he is in solos, which is why he has been sought after, both at home and abroad by the entire community of top notch artistes like Pt Ravi Shankar, Ustad Vilayat Khan, Ustad Imrat Khan, Ustad Amjad Ali Khan, Pt Nikhil Banerjee, Pt Birju Maharaj, Pt Shiv Kumar Sharma, Pt Hari Prasad Chaurasia and many more. Pt Bose has to his credit, more than 150 recording labels and has been the Asst. Music Director of the noted film maker Mrinal Sen’s globally acclaimed film “Genesis” with music director Pt Ravi Shankar. A journey which started with his intial public performances in 1960 with legendary musicians like Shri Gokul Chandra Nag, Shri Shyam Ganguly, Smt Angur Bala Devi, Pt Hanumanji Mishra, Pt V G Jog, Pt Sitaram Tiwari, Pt Vijay Raghav Rao amonst others, has yet a long way to go. Born in a family devoted to music, Sandip has started Kathak Dance Training under the tutelage of Srimati Srilekha Mukherjee. Continuing the talim from his Guru, he also got in-depth training from Pandit Birju Maharajji, Pandit Ram Mohan Mishra, Pandit Chitresh Das, Guru Bela Arnab, Guru Bandana Sen, Srimati Saswati Sen and Pandit Vijai Shankar, all luminaries in Indian Classical Dance scenario. He has also received training in rhythm from Pandit Kumar Bose. 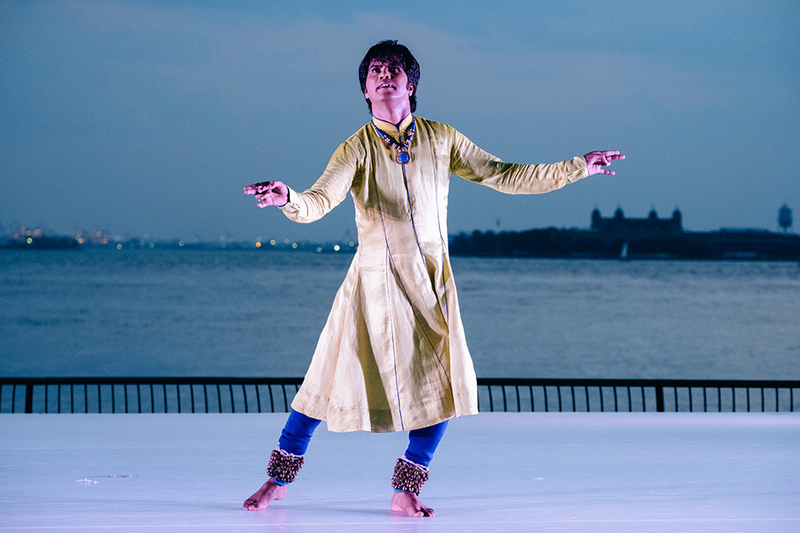 Sandip has performed in several dance festivals in India. He has also given his dazzling performance in several places of United Kingdom namely London, Birmingham, Leeds, Yorkshire, Telford, Bolton, Manchester and many other cities in North England during his tour in U.K., Italy, Czech Republic and Germany,Canada,Singapore since 2002. He has a wide exposure of working with the Flamenco Dance, while working with Sujata dance Company, London. He has also performed as the lead artiste in the project “Namaste Greetings” from India under the Annapurna Indian Dance Company, Yorkshire. He has also participated as a Soloist in the international Kathak festival KATHAK AT CROSS ROAD, at San Francisco, USA in September 2006. Sarangi artist Pankaj Mishra was born into a lineage of exceptional musicians, being the son of Sri Satyanarayan Mishra, Grandson of Pt. Mahadeo Prasad Mishra, and great- grandson of Sarangi virtuoso Pt. Saraju Prasad Mishra. He was trained from an early age by the renowned Sarangi player Pt. Mahesh Prasad Mishra of the Benaras Gharana. Pankaj is an “A” Grade artist at All India Radio & Television. He is a highly regarded accompanist, performing with such renowned artists as, Pt. Swapan Chaudhuri, Pt. Anindo Chatterjee,Pt. Kumar Bose, Pt. Subhankar Banerjee. His dance recital performances with kathak exponent Pt. Birju Maharaj,Pt. Vijay Shankar have been widely acclaimed. 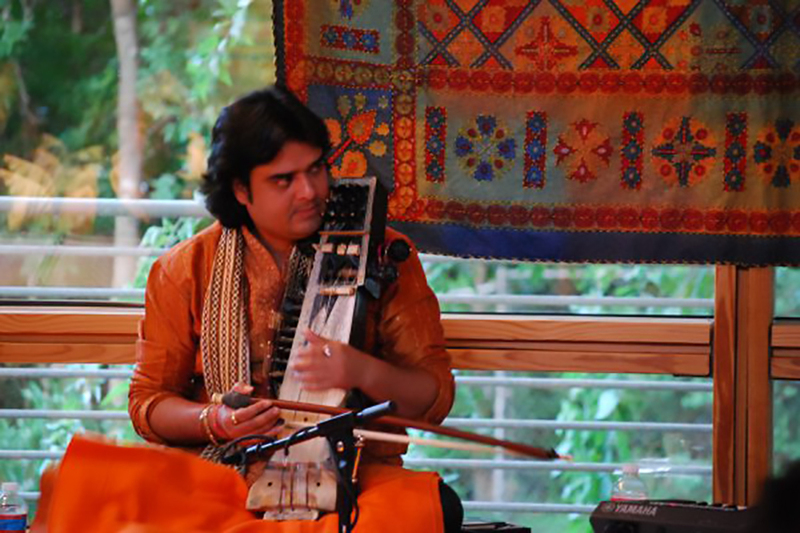 Pankaj has performed at some prestigious festivals in Europe USA & Canada including the Ali Akbar College of Music (California, U.S. and Basel, Switzerland), Ragmala organization (Edmonton, Canada), Indian Embassy concerts (Berlin and Austria), the Gandharva Music Festival (Netherlands), UCLA, UCSD,UTSA and Cal Arts at the World music Festival. Pankaj also performs for Film and Television Serials (Hindi-Bengali) and has recorded several CDs.